I'm looking for a way to stiffen up the rear cargo area/rear hatch area of my XJ. I was out wheeling last night and stopped on a really flexed spot (I was checking suspension component clearance/etc. after making changes). I opened the rear hatch to get something and then couldn't get the rear hatch to close correctly (it latched fine after I got back on flatter ground). Now yes, the simple answer is "don't open the rear hatch when the body is flexed out" but I'm taking this "issue" as an indicator that the rear of the body is twisting and that's something I'd like to prevent (less twist = longer lasting body). I've already done 3/16" welded frame stiffeners from front to back. 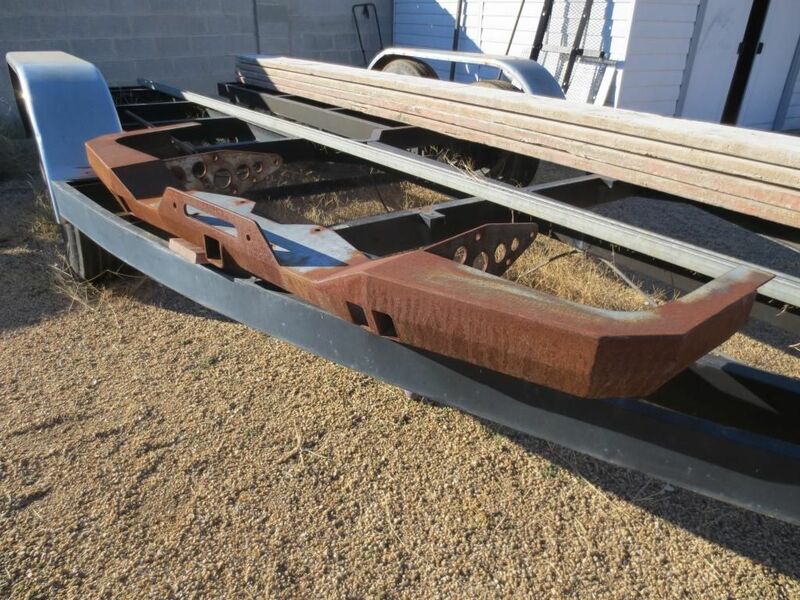 I'm thinking of welding a piece of 3/16" plate on the back side (fuel tank side) of the rear crossmember (where the bumper bolts onto). If anyone else has some suggestions/experience in stiffening the cargo area, I'd appreciate the insight. I'm trying to avoid a cage as it's also a daily driver and I don't want to loose the versatility. 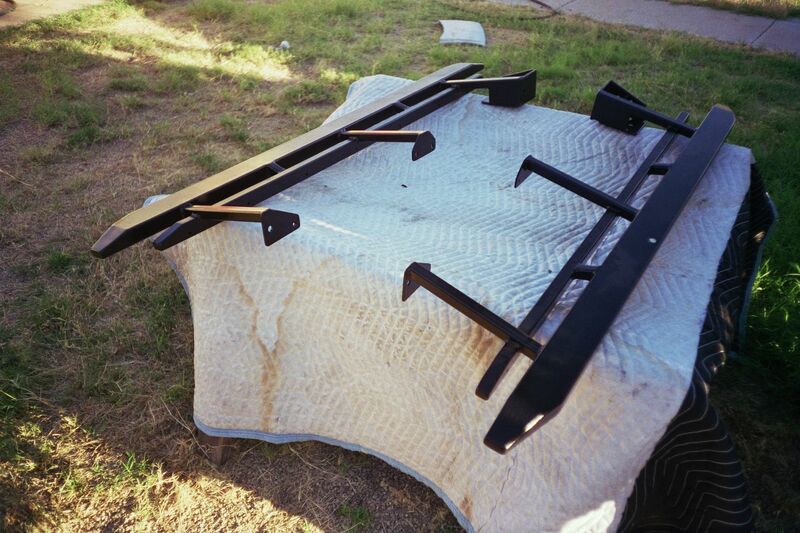 Get a bumper that utilizes frame mounting points. My 2k does not flex in the back or front do to the bumpers. I believe you also need some reinforcement between the bumpers as well. If for nothing else than to protect leaf spring hangers, steering gear mount and control arm mounts. although I have both front and rear bumpers and have beat on mine pretty hard with no signs of cracking or damaging the areas I mentioned. I just don't believe the stock unibody can hold up to the type of abuse I give it. YMMV. A good crossmember helps as well. FWIW I have stiffeners running from firewall to front bumper. the mid section stiffeners are in my garage waiting on a sunny saturday to get installed and I'm installing rear shackle relocators and will try to box in or plate anything that looks weak. I'm finally getting my rig built where I want it, definitely don't want a crack in the unibody that I need to fix or compromise it's structure. cheap insurance I guess. Any pictures of your bumper? I currently have a JCR 3/16" plate bumper that mounts to the factory bumper location (the 8 bolts on the rear crossmember). I believe you also need some reinforcement between the bumpers as well. I already have (and are installed) 3/16" welded frame stiffeners (front, mid and rear). I'm trying to prevent the body from twisting now. Here is on of the rears I built for my Cheromanche. Here's the front I built for same Jeep. Rock rails are important part of the combination. I built these for the same rig that ties into the leaf spring pockets and the roll bar. The Cherokee is called a boneless Jeep for reason, and the unibody flex is not an issue until you are really abusing it. 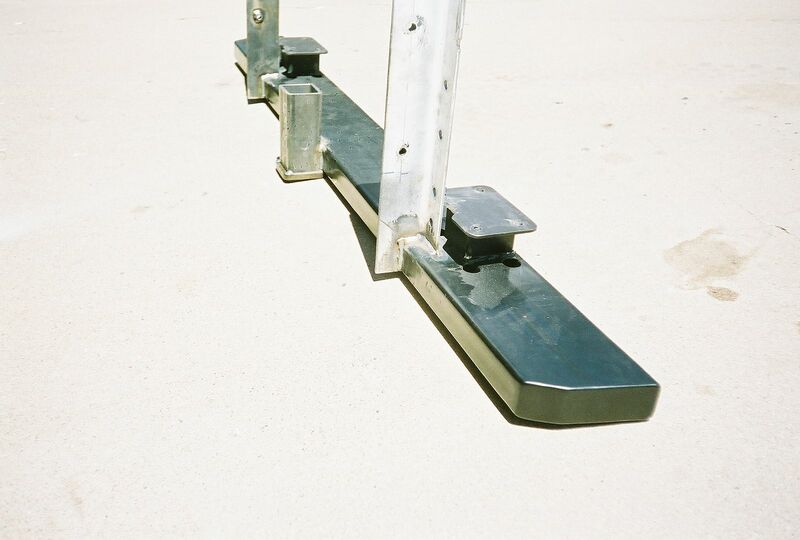 Tie the ends of the frame rails together with bumper mounts that incorporate the frame rails, or bolt on a Class-III hitch. Reinforcing the rear crossmember might be a good idea also. JCR's gas tank skid with its flange running across the rear of the body looks like it might be helpful here.